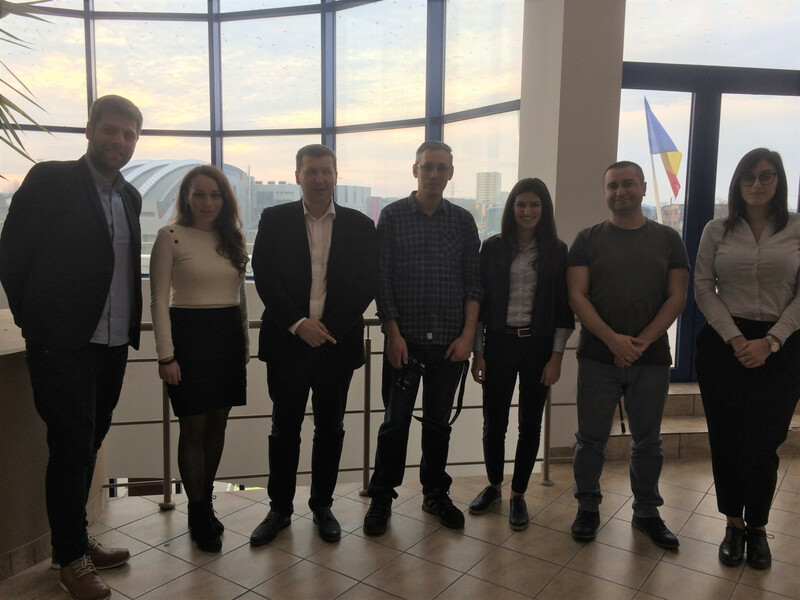 “Curricula of Drone Technology course” is aimed to help VET students to take advantage of the huge opportunities created by Industry 4.0, through the adaption of Drone Technology, in order to start a new business or to expand already existing companies. It includes 12 chapters focused on the elements of essential theory and design concepts of today’s Drone Technology. 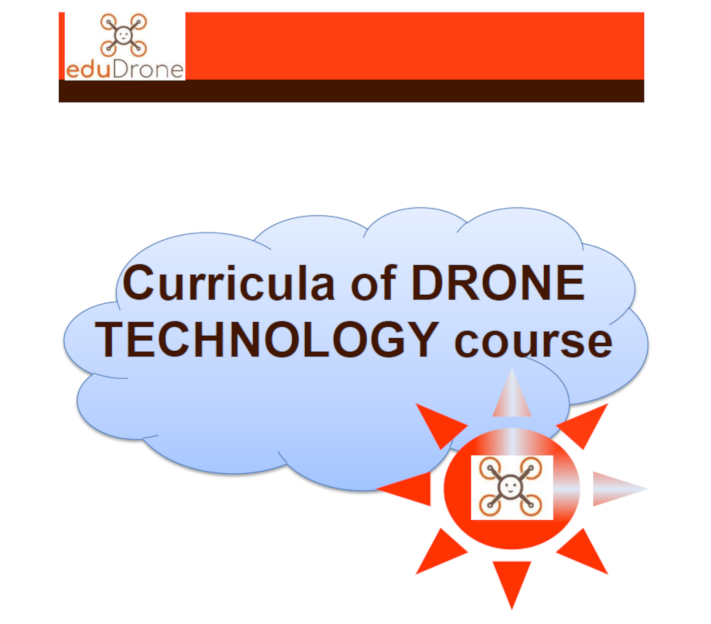 “Curricula of Drone Technology course” presents the conditions of course deployment, the competences gained by the students and the objectives of the course. 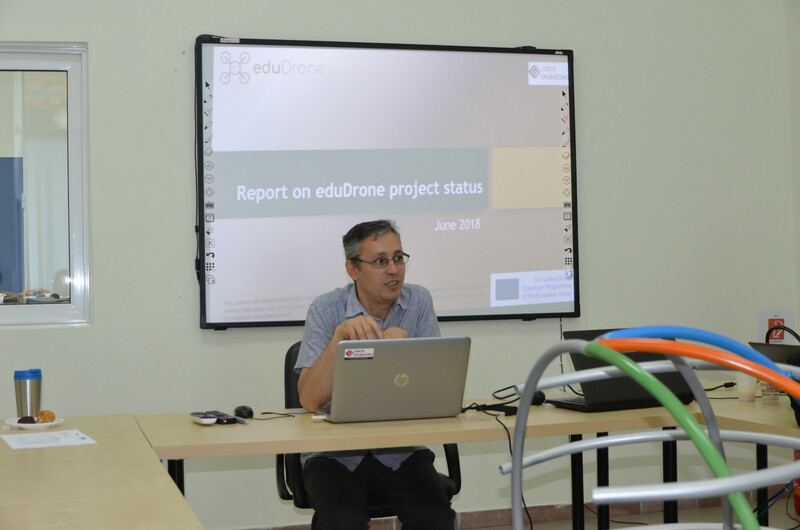 Also, the organization of Drone Technology course (number of hours, activities, resources and materials, training method, and methods of evaluation) is detailed and the assessment criteria are given. This intellectual output represents a valuable tool for any VET provider or other organization interested in providing and/or training its own personnel in the Drone Technology field. Also, it can be useful for individuals (students, freelancers, graduates, etc.) 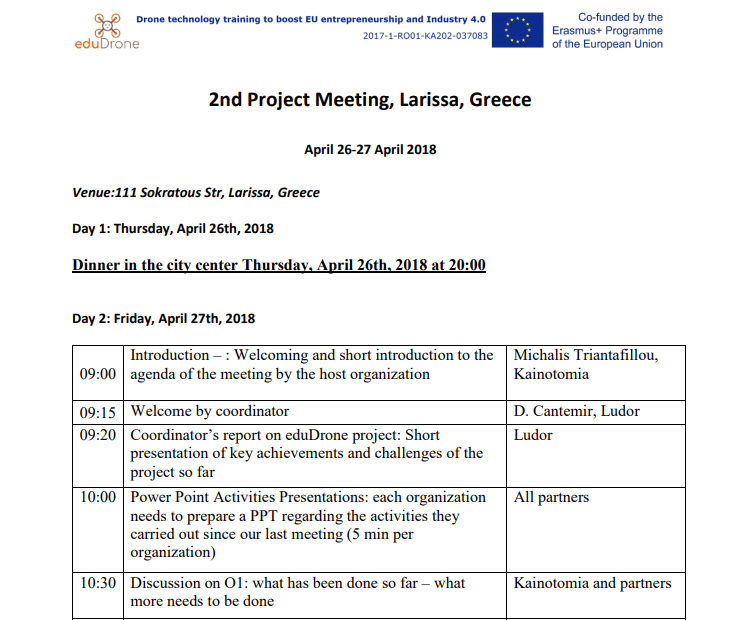 interested in educating themselves in Drone Technology. 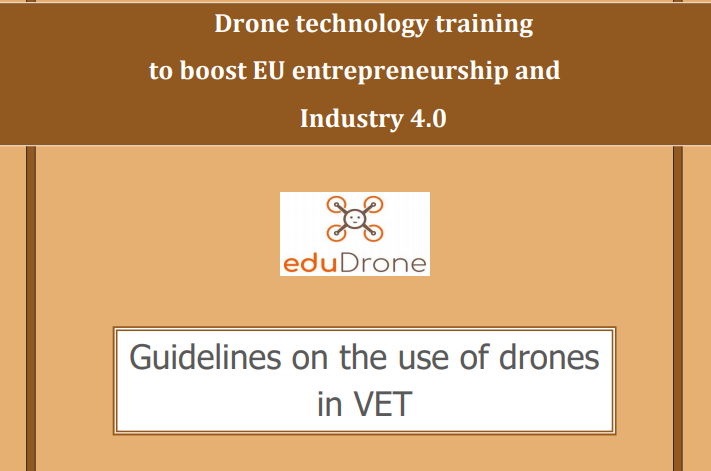 The intellectual output O1 “Guidelines on the use of Drones in VET” is available for download.